Amazing wildlife videos photographed and edited by Victor Goodpasture. 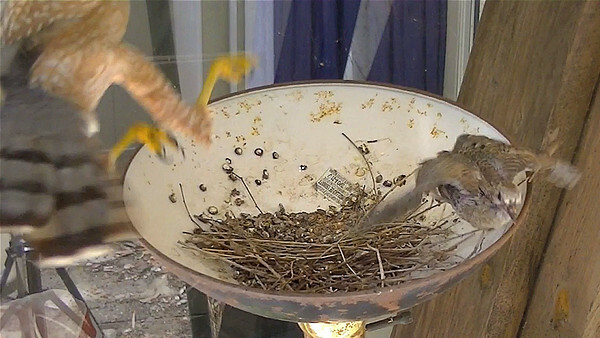 A hawk attacks a mourning dove while it feeds its chicks. My remote HD video camera captured the surprise attack.